We recently received a request for information about mold in college dorms. After doing a little research, we were surprised at what we found. You might be surprised, too. 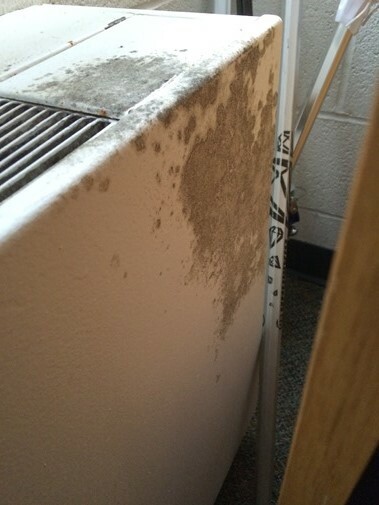 How Prevalent is The Problem of Mold in College Dorms? More prevalent than you might think. Here are just a few recent incidents in which significant amounts of mold were found in dorms. Maryland’s College of St. Mary had to relocate 239 students after mold was found in two dorms. University of Delaware had to close down one residence hall and the university’s fitness center after black mold (Stachybotrys chartarum) was discovered there. University of Louisville had to relocate 270 students after mold was found in several dorms. University of South Carolina had to relocate some of the students in one of the women’s dorms after they developed respiratory problems related to mold. Why is Mold so Common in College Dorms? College students may not do an adequate job of wiping up water spills, keeping bathrooms clean, etc. Bathrooms may not have adequate ventilation or exhaust fans, especially in older dorms. Shared bathrooms also mean increased humidity that can lead to the growth of mold. 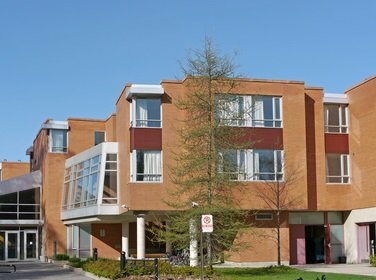 Like older homes, older dorms may be more prone to problems that can lead to the growth of mold, like leaky roofs, windows and plumbing. Is it Really a Serious Health Hazard? It can be. Small amounts of mold will not usually cause significant health problems in healthy young people, although many people will experience minor allergy symptoms when exposed to small amounts of mold. Greater amounts of mold generally lead to more serious health problems, but even small amounts of mold can trigger asthma attacks and other health problems in people with pre-existing conditions that make them more susceptible to mold-related health issues. How Can You Prevent Mold in College Dorms? Taking these steps may prevent mold in dorms. Wipe up any water spills immediately. Hang up wet towels or clothing to dry. Turn on exhaust fans, if available, in bathrooms while showering. If exhaust fans aren’t available, open a window a few inches if possible to increase ventilation. Use biostatic shower curtains, which are mold-resistant, in bathrooms if possible. In many college dorms, students are responsible for cleaning their own bathrooms. If that is the case, clean any areas of mold or mildew promptly, using bleach and water or an antimicrobial cleanser like Foster 40-80. Wear gloves and an N-95 face mask when cleaning up mold. Notify environmental services at the college if you are unable to remove mold thoroughly or if there are moldy areas you aren’t responsible for cleaning. Notify environmental services at the college promptly of any water leaks that might lead to the development of mold. What Should You do if You Have Mold in Your Dorm? Notify environmental services at the college right away of your concerns. Ask them to either have the mold removed or to move you to a different dorm that is free of mold. If the mold cannot be removed right away, of if you’re experiencing mold-related health problems, ask them to move you to a different dorm temporarily until your dorm can be properly cleaned. See a doctor right away if you’re experiencing any mold-related health problems. 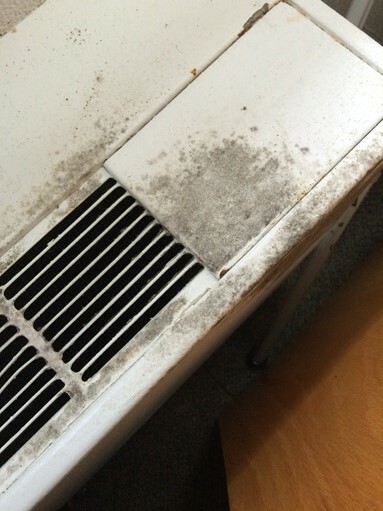 Let the doctor know you’ve been exposed to mold in your dorm. If you’re not sure if there is mold in your dorm or not, or if your college needs proof that there is a problem, we recommending calling in a certified mold tester. You can purchase do-it-yourself tests but they are not nearly as accurate, and the results can vary greatly if they are not used correctly. To find a certified mold tester in your area, follow the link.